When planned accordingly, winter weddings can be magical and fairy-tale-like experiences. They simply require a shift in one’s mindset. While you may not be able to celebrate your nuptials under the warm summer sun, you can utilize the spectacular winter landscape as a beautiful and unique backdrop to your wedding photos while the cold air adds a feeling of coziness to your proceedings. If that sounds like a dream come true, here are our suggestions for seasonal winter wedding flowers. With the glistening white snow as your backdrop, you can get away with choosing dramatic colours that contrast that pure whiteness or pick a palate that complements the paleness of the outdoors. Red Roses: Many young brides might steer clear of red roses, but this classic flower is the epitome of winter bouquet wonder. Its sharp contrast against the white snow and your wedding dress and faux-fur cape is an immediate eye-catcher. Anemones: These fall-blooming flowers are delicate and elegant and come in a variety of shades, including white, pink, blue, purple, and red. White anemones have deliciously dark centres that add a wonderful base to more intense colours. Ranunculus: These many-petaled blooms look like a cross between a rose and a peony, which gives your bouquet drama and elegance. These January blooms come in a variety of shades to match your wedding colours. Poinsettia: While usually synonymous with Christmas, these colourful plants are plentiful and inexpensive and pack a beautiful punch of colour. Combine your poinsettia with white snowdrops, curly willow stems and star of Bethlehem sprigs to make them really stand out. 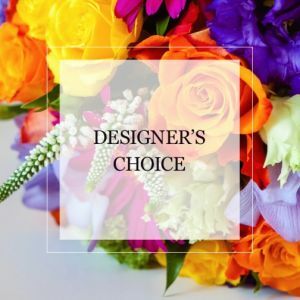 There may be a shortage of flowers in the winter, but this season brings us plenty of natural fillers that are inexpensive, romantic, and beautiful. Evergreen branches: Abundant, local, aromatic, and gorgeous, pine and Douglas fir branches give your bouquet a green backdrop while staying true to the winter motif. Curly willow branches: Fun and inexpensive, curly willow branches are whimsical and pay homage to the season’s bare branches, turning something stark into something beautiful. Pinecones: Who doesn’t love pinecones? Nature’s fractals are anything but ordinary. Plus, their various shapes and sizes give you plenty of options from which to choose. If you’re planning a winter wonderland wedding, contact Karen’s Flower Shop to get started.